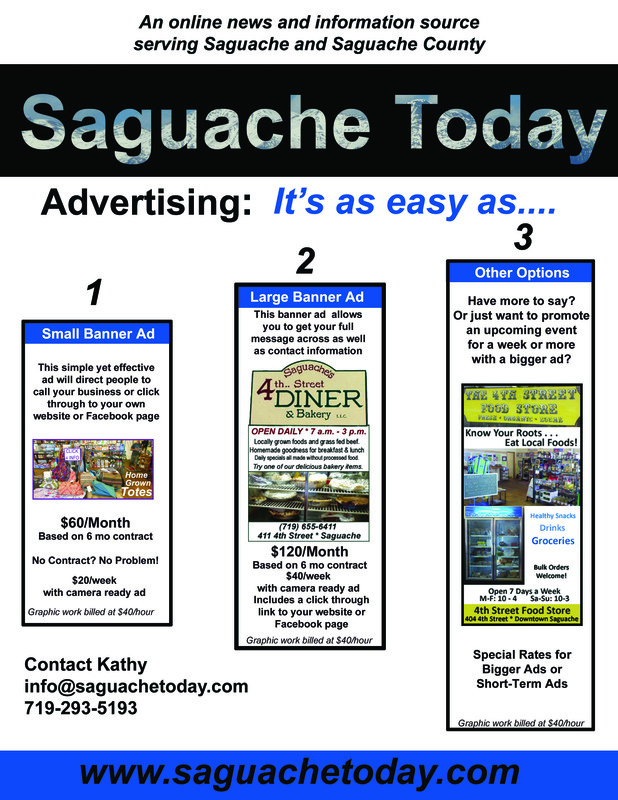 The tourist season is in full swing in Saguache Today. And nothing says summer is in bloom like the 7th Annual Saguache Hollyhock Festival which will be held Saturday, July 28 from 10 a.m. – 3 p.m. The Town of Saguache’s official flower – the Hollyhock – will be celebrated with great fanfare and affection at the 7th Annual Hollyhock Festival on July 28. Photo: SaguacheToday/Lynn Nowikowski. 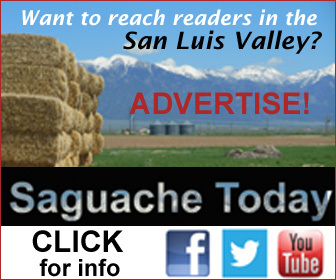 Presented by the Saguache Chamber of Commerce, this event has grown in popularity, finding many San Luis Valley residents joining in the celebration of Saguache’s official town flower! 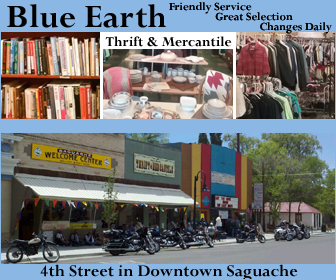 So if you’re looking for the shade of the tall trees and haven’t stopped into downtown Saguache for a while, be sure to include this self-guided walking tour in your plans to see what’s new. Hollyhock Festival goers will begin their route at Otto Mears Park in Saguache. 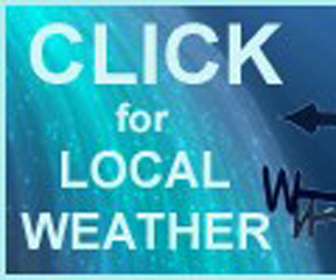 Check in at the Community Building anytime between at 10 a.m. until 3 p.m. More than a dozen gardens, some with Hollyhocks, some without, will be on display as gardeners compete for generous prizes. The celebration of Saguache’s official flower commemorates the dedication of early settlers who brought the hollyhocks and old-fashioned roses to the area. In addition to the delightful tour, master gardeners will hold a plant clinic. 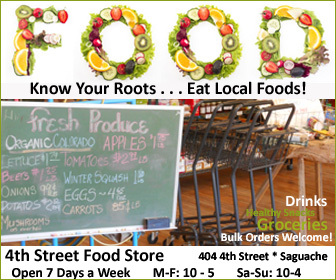 So if you’ve been wondering what’s been going on with your green thumb, this is the place to do it! And be sure to bring the kids along for a special session on how to create a Hollyhock doll; of course the adults are welcome too! There will also be Hollyhock plants which will be potted and available to buy for your garden! In addition to the beauty created by Mother Nature, local galleries will have their artwork on display, many pieces highlighting the delightful Hollyhock. Artists’ work will also be displayed in the Community Building, all featuring glorious Hollyhock in various mediums – painting, needlework, carving, etc. Be sure to be there at 2 p.m., when the winners of the best adult and juvenile Hollyhock art will be announced. It all leads up to the grand announcement of the first, second and third place prizes will be awarded for the best Hollyhock garden and the best general garden. 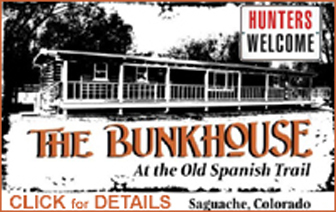 As part of the Saguache Hollyhock Festival there will be breakfast, snacks and lunch available in the Community Building as a fundraiser for the Saguache Volunteer Fire Department. So fuel up before you tour the gardens, or when you come back for the awards and announcements. In addition, those World Famous Root Beer Floats will also be offered by the Friends of the Saguache Public Library. Children enjoy making Hollyhock dolls from the town’s official flower while sipping on a homemade root beer float from the Friends of the Library. Once you are finished touring the gardens, you’ll want to make a day of it! 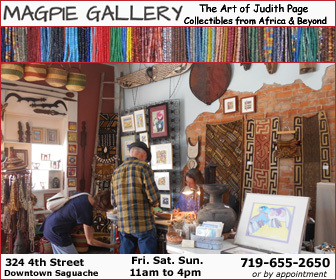 From downtown’s Magpie Art Gallery, the Hauck Pedersen art gallery and The Range to Antiques, Etc., the Fenton Studio Pottery, and Smith Market Gallery just a few blocks off main street, if you haven’t visited in a while, you’ll be pleasantly surprised to see a thriving arts community in Saguache Today. 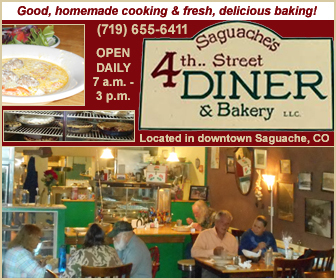 There are a lots of new and thriving businesses on 4th Street, Saguache’s downtown business and arts district. 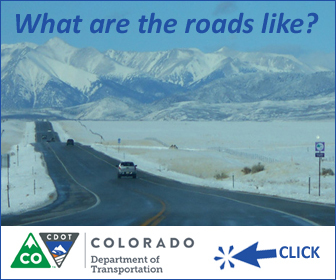 Be sure to visit the Welcome Center, along with the 4th Street Food Store, and Blue Earth Thrift Store, and don’t miss out on the Wapiti Coffeehouse located behind the thrift store. Wander over to see a movie at the Cozy Castle Cinema or have a bite at The Village Pub. So make it a lovely day of gardens and small town enjoyments at the 7th Annual Saguache Hollyhock Festival on Saturday, July 28. 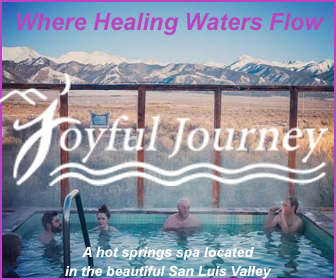 The Hollyhock Festival is presented by The Saguache Chamber of Commerce with the generous support from many sponsors – Thank You! The garden competition includes a Hollyhock and general garden category. Pictured here is one the past winners. Photo: Saguache Today/Lynn Nowiskee.